I am barely in time to share this with you! 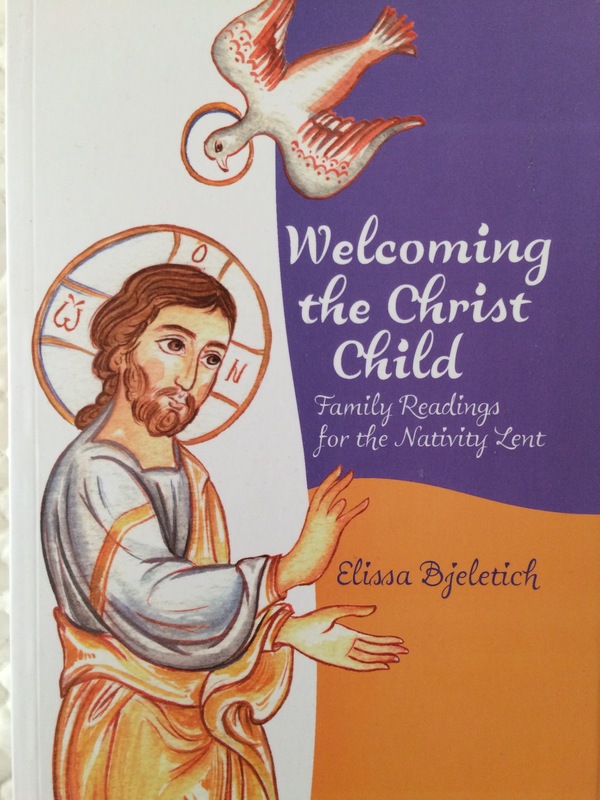 My dear friend, Elissa Bjeletich, kindly sent me her latest offering, Welcoming the Christ Child: Family Readings for the Nativity Lent. She wasn’t expecting a review, but I couldn’t keep this all to myself! 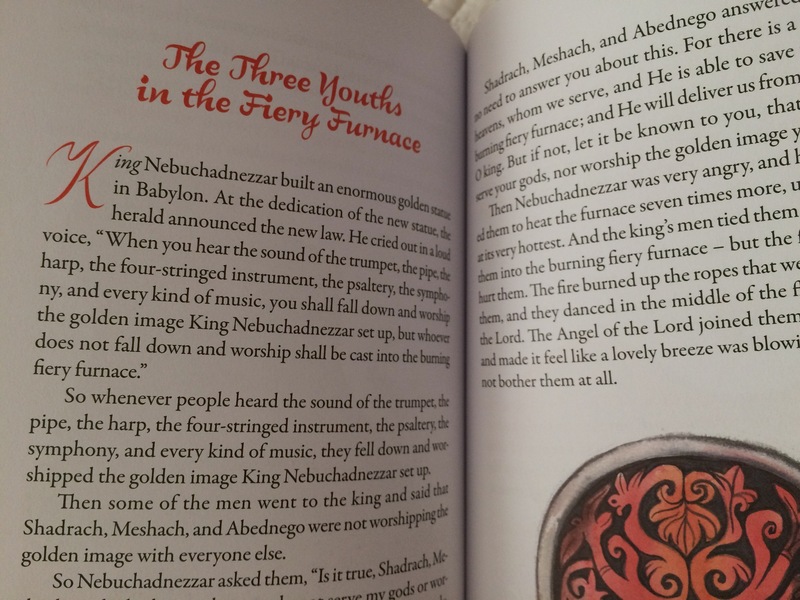 In this book Elissa has retold forty stories from the Old Testament (and a few from the New Testament), all traditional readings during Advent, culminating in the Nativity of Christ. These are intended to be read aloud as a family. Following each story is a set of questions designed to assist children’s understanding (yes, answers are included!). There is also a more advanced conversation starter so older children and teens won’t feel left out. 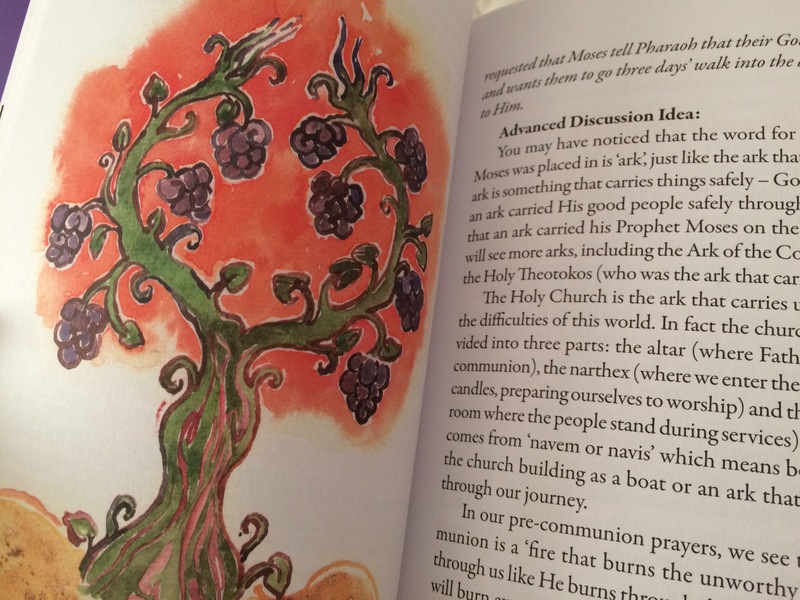 Throughout the book are beautiful illustrations by Jelena Jeftic. 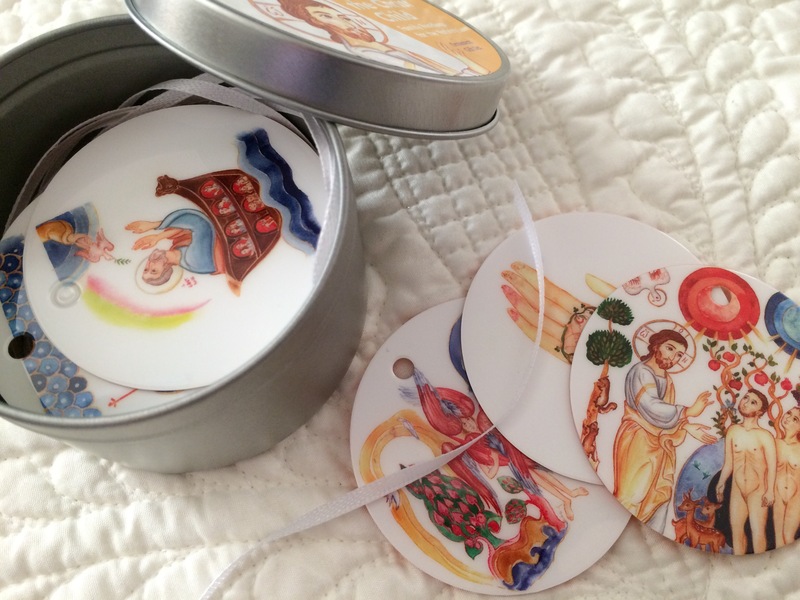 If your family puts up an advent tree there is an additional bit of fun: a canister containing forty illustrated ornaments depicting each story in the book! These are plastic circles, very durable, with holes pre-punched and cut ribbons for hanging. After each evening’s reading and ensuing discussion the corresponding ornament can be hung on the tree. Alternately, they could be hung on a garland or pinned to a specially designated bulletin board. You can purchase the set from Sebastian Press, or just the book. 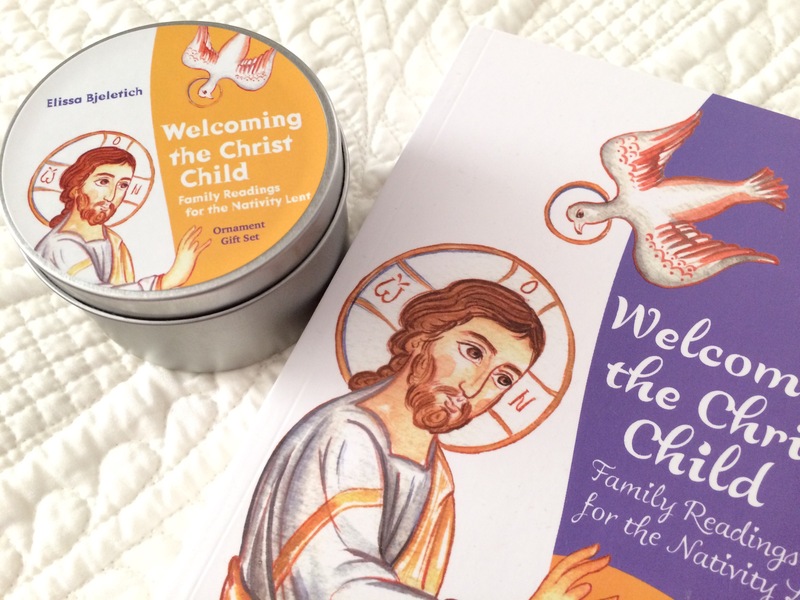 What a wonderful gift for your godchildren as well as your own family! Thank you for this beautiful and helpful review, Matushka! This looks wonderful! It looks like Elissa did a great job. And I am in love with the illustrations – the nicest I’ve seen. They’re awesome! It would be a perfect gift for my godson. Thanks for spreading the word.